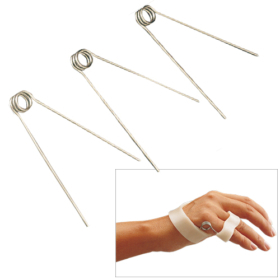 Designed to assist the intrinsic muscle weakness, e.g. with ulnar nerve palsy. The spring can also be turned upside down to increase the spring power. Torque at full finger extension: ca. 1000 g.cm.